The Italy national team is one of the most celebrated teams in world football, and fans around the globe wear the Italy soccer jerseys. This is the place to shop for your official Italian jerseys. We stock kids and adult sizes in the Italy home and away shirt, shorts and socks, but hurry the Italy jerseys are selling fast, order yours today. Italy is one of only eight teams to have won the prestigious FIFA World Cup, and they have won on four occasions. Their first title came in 1934, another win in 1938 meant that the Italians were the first team to win consecutive titles. Their other two victories were in 1982, and more recently in 2006. With such success on the world stage it is clear to see why the Italian shirts are a popular choice. The Italy shirts have also made frequent appearances at the UEFA European Championship. They won the tournament on one occasion in 1968, and finished as runner-up twice in 2000 and 2012. With success that spans the decades Italy is always a popular choice with football fans. Italy Soccer Jerseys now in Stock Today - Official Merchandise! 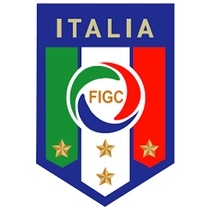 Since at least 1911 the primary colour for the Italy home jersey was blue, and this colour remains a symbol of the team today. White has generally been used for the away kit. 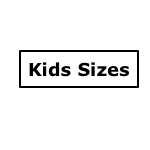 Since 2003 Puma has been the manufacturer of the Italy soccer jerseys, but prior to that a string of other sportswear companies have been involved with the Italy strip including Adidas, Le Coq Sportif, Diadora, Nike and Kappa. The Italy deal with Puma is long standing and was renewed in 2015. Puma manufacturer not only the match day jerseys but also training kit and accessories, and you can buy a selection of these here at Soccer Box. We are supplied directly by Puma enabling you to buy official Italy shirts and other merchandise. Puma is more than simply a shirt supplier to the Italian Football Federation (FIGC), the deal is described as a ‘partnership’. The 2015 extension ensured that Puma supplies football kit for all FIGC squads including youth, development and ladies teams. The new deal also gave Puma extended marketing rights. Whether you are looking for an Italy football shirt, a pair or shorts or socks, a training top or other team accessories Soccer Box is the place to shop. Use the menus to the left of your screen to browse the home and away kits, training wear and football accessories, you are sure to be spoilt for choice with the range of Italy strip and merchandise that we have available. Shopping with Soccer Box is easy. Choose your Italy football shirts from part of the Italy home Strip, and add them to the shopping cart. Use our secure online checkout to choose from worldwide delivery options and to make payment, then sit back, relax and await delivery of your parcel. Should you need to contact us our customer service team are available by phone or email during business hours, and will be happy to assist.